It is a requirement of your Agreement, that the goods are protected against Theft and Accidental Damage. We can arrange Theft & Accidental Damage Cover for £0.82 per week. It is a requirement that products purchased on a credit agreement are insured. We can offer Theft and Accidental Damage Cover for £0.82 per week. 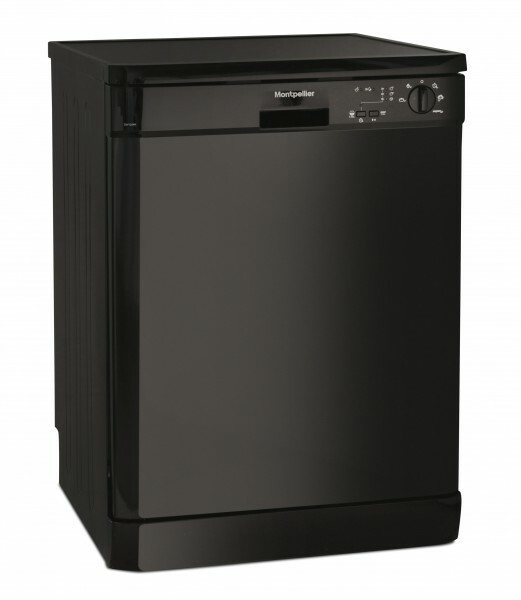 This Montpellier black dishwasher is perfect for when you’re in a hurry, just select the Quick Wash option and your lightly soiled dishes will be sparkling clean in just 30 minutes. It's great for larger loads too, holding up to 12 place settings. It has smooth sliding lightweight adjustable racks for optimising stacking options, 5 programmes and 4 temperatures - Quick 30min, Eco 50 degree, Super 50min 65 degree, Intensive 65 degree and Hygiene 70 degree. A++ energy rating.